Anirban Lahiri got off to a strong start in the Phoenix Open with a five-under 66 as he was one shot off the lead. Lahiri was Tied-fourth and one stroke behind the leading trio of Rickie Fowler, Shane Lowery and last year's co-runner-up Hideki Matsuyama who carded 65 each. Lahiri spent a session with putting guru, Dave Stockton, whom he met for the first time on Wednesday and immediately reaped benefits from it. He was perfect inside 10 feet and made seven birdies. "I was cluttered and needed to get a more systematic process I can follow. I'm not very technical by nature. 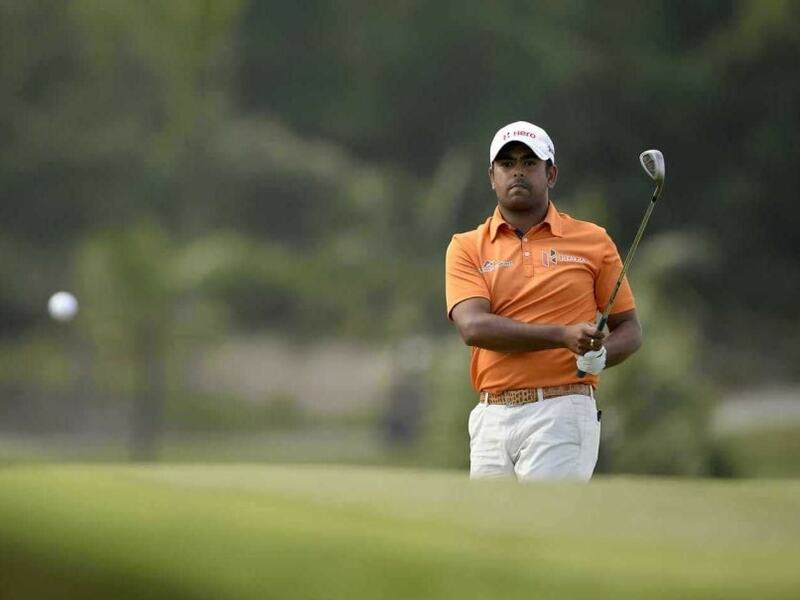 I like to visualize and feel the shots and that's not how I putted before," Lahiri said. Stockton told him to 'simplify' the process and it worked. Lahiri started on the tenth, and after a opening par, he flourished with three birdies in a row from 11th to 13th and then after a dropped shot on 15th, he picked two more birdies on 16th and 17th to turn in four-under. On his second nine, the back stretch of the TPC Scottsdale, he bogeyed the first but picked birdies on third and sixth and negotiated the rest in pars for a first day's work of five-under 66 at the par-71 course. Lahiri had and seven birdies and two bogeys. Fowler, who like Lahiri missed the cut at last week at Torrey Pines in Farmers Insurance Open, opened with a 65 that included three birdies and an eagle in his first five holes. He cooled slightly but needed just 24 putts, including a dozen one-putts. Fowler had a total of six birdies, an eagle and two bogeys, while Lowry and Matsuyama had eight birdies and two bogeys each. With a crowd exceeding 100,000 on the very first day Lahiri was happy with his start. "I'm quite happy with the way I started. Obviously got off to a good, solid start. Found a lot of greens starting out. A little bit disappointed with how I drove it. I feel like I could have probably, you know, played a couple of shots better. But the iron play was really good. Felt really solid on the greens," he said. On the course, which is very popular on the PGA Tour, he added, "I think the golf course is really good. I think it's a good track because it rewards good shots and it does penalize you if you hit it in the wrong spots like I did find out a couple of times today." Lahiri wearing purple trousers and a purple reptile belt, had the crowed chanting, "Purple" at the Coliseum-like Par-3 16th hole. He picked a birdie after hitting his tee shot to just over four feet. He laughed and said, "It's a special hole. It makes it special when you make 2 there. The crowd gets behind you. God help me if you make 4 or 5. Let's hope I keep playing there in 2." "That hole is obviously quite special. The people make it so. It was nice to make a 2. Just to hear the crowd chanting "purple" was a little weird and strange, but I enjoyed it," he added. "Well, I like to be colorful on the golf course. And I love wearing what I'm wearing. It makes me look good and feel good." The morning start was delayed by a little over half and hour because of frost, Lahiri was alright with it despite the cold. Lahiri rounded off the day with a nice up-and-down and said, "Yes, it was nice to get out of jail there. Obviously put it in the wrong spot on the tee but left myself a nice pitch, had the wind coming back. Yeah, I hit it really good." Fowler was happy with his putting and said, "Just didn't make anything last week," he said. "That was the hardest thing was getting any rhythm or momentum going when you can't make anything." Mickelson was five-under for his first nine, but then a bogey-triple bogey on fourth and fifth tripped him to a final two-under 69. The frost delay in the morning meant a one-hour delay and that led to 33 players being unable to finish the opening round.